When creating a charity clearly the main focus is on the cause which the charity has been set up to help so branding and marketing can seem like irrelevant corporate concepts which don’t apply and will cost precious money. However, it’s important to look at what a brand is, in the broadest sense of the term and then it’s easier to realise the big benefits having a recognised and trusted brand can bring to a charity. A brand is about defining your charity and what its values are, which helps to create supporters, and turn them into donors and ambassadors – spreading the word about your cause. Branding of a charity gives you control over it and charities of all sizes can benefit from the way branding helps to improve supporter relationships. It’s all about making the right links and connections and getting your name recognised can help with that. Think about some of the biggest, best known charities and you will soon see they all have a strong brand identity – think about Macmillan or The British Heart Foundation, for example. They have invested time and money into creating trusted brands which are recognised by a very broad audience. How can effective branding help a charity? There are a number of ways in which having effective branding can actually benefit a charity as it’s about more than just a pretty logo or a fancy website – it’s about defining the charity’s beliefs and values and how it connects with supporters. The right brand identity will help donors and supporters to connect and engage with the charity far more effectively which can increase the opportunity to raise more money – the more people relate the brand message the more support you can generate. An effective charity brand will help to raise awareness of the cause at hand through good social media and the use of brand ambassadors and supporters to spread the word and help to communicate the charity’s purpose. For a charity to be successful and to thrive it needs to be trusted and have a strong and consistent reputation for actually achieving things with the money raised. Using the brand to actively demonstrate the difference being made can help to foster trust. Having shown just how effective charity branding can positively help a non-profit organisation to develop and thrive, the next question has to be how you go about developing an effective charity brand in the first place. A charity brand has to engage with audiences on an emotional way and appeal to their sense of duty and desire to change things for the better – but the components to actually create the brand are the same as most other types of organisation. The same with any new organisation – you need to start out by carrying out some research and working out who your key audience is and what matters to them. In the case of a charity you need to know who your supporters are likely to be – what age range are they, for example? Understanding who your supporters are, and what they care about, will help to ensure your strategy for communicating the brand is on track. If your supporters are largely retired women, for example, the communication and brand approach will be very different to a charity whose support mainly comes from corporations. What makes your charity different? The charitable world is a very competitive one with many different well-meaning organisations all competing for money from supporters so you need to be very clear what the business purpose is for your charity and why it stands out from all the rest. Why is needed and what makes your charity unique? Here at Frost Creative we won’t work with any client unless they have a brand strategy and we can help to develop that with you. A brand strategy has to be the cornerstone of any effective branding project. It demonstrates clearly how the brand will help to support the charity’s overall strategic aims and objectives and underpins all design and messaging work which follows. A vital part of the brand strategy is working out what the charity’s brand values should be. This can be achieved through asking questions such as what is the purpose of the charity. Why does it exist? What is the charity’s mission and what are its values? Answering these key questions provides the foundation for the brand and its messaging. A brand identity isn’t just about what your brand logo looks like – it’s about how your charity communicates with the public, with supporters and customers. It should include a broad range of elements which all work together to create a harmonious brand. Typography, colours, graphic style, photography and image placement are all elements of brand identity and they all need to work in harmony to create a look and feel which completes the brand strategy. From the style of the website through to leaflets, t-shirts for volunteers and a charity magazine – the brand identity has to work effectively in many different environments so that every time customers come into contact with the brand they instantly recognise the charity and everything it stands for. 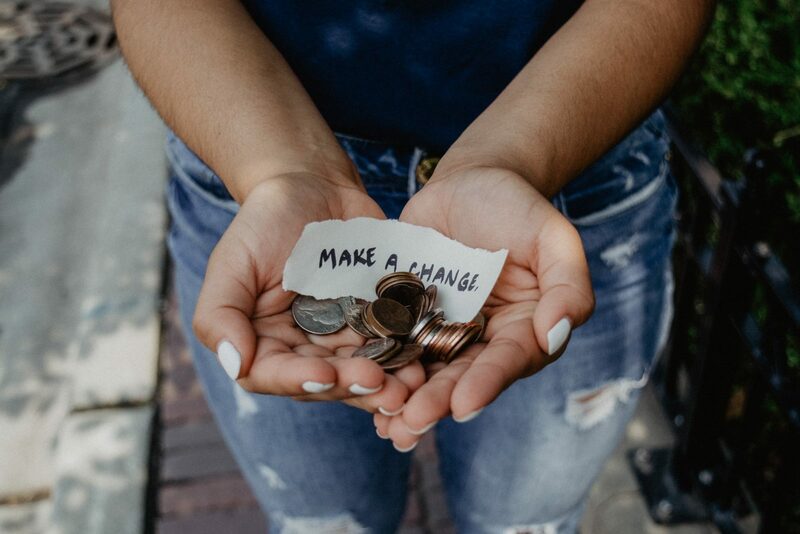 Another essential element to an effective charity brand is the messaging which has to connect with the visual features and be delivered consistently throughout all of the marketing channels used by the charity to communicate with supporters. Choosing the right tone of voice, the right phrases and the key words which are all going to appeal to, and tug on the heartstrings of supporters and donors is enormously important for every charity brand. Once the brand strategy is in place, it should help to guide the look and sound of the brand which then comes to life through the visual identity and messaging, working together to create a charity which communicates well. Once you have the brand in place, the next step is deciding how best to market the charity and make use of the brand elements to start raising money and achieving the overall goals of the organisation. Some campaigns tug on the heart strings and appeal to our deeper emotions, while others try to make us feel guilty in order to change our behaviour. There are positive campaigns as well as negative campaigns and it’s about working out what will have the most appeal and engagement with the relevant audience. This comes back full circle to knowing and understanding who your supporters are – then you can make the best possible use of the brand to develop effective campaigns which will appeal and engage and get them to donate money or support to your cause. With a charity brand it’s particularly important that people donating money believe in the cause and the brand and trust that you are an authentic and genuine organisation. This can be achieved through effective branding. By communicating about fundraising goals, targets and spending, and demonstrating how the money is spent in the marketing materials, supporters can see exactly where their money is going and how they are helping to make a difference. Social media, open communication and other tools can be used by the brand to ensure the charity is communicating honestly and authentically with the public at all times. It can really help the brand to be effective if you share some of the story about how and why the charity came about and the reason behind its creation. The more personal and relatable the story, the better and more engaging it will be. The story can also become part of the marketing effort by sharing it across social media and the website, to help reinforce the brand. Your charity branding helps people to easily and quickly understand what your organisation stands for and why it does what it does. The brand clearly identifies the charity and demonstrates its values for would-be supporters and donors, helping it to stand out from the crowd. An effective charity brand can increase support, help fundraising to grow and also raise awareness among the public of the particular cause being supported so if you are looking to brand a new charity, don’t dismiss branding as an expensive corporate gimmick – there is far more to it and it could be the difference between success and failure. If you would like to talk to our branding experts about how we could help to support your charity through the branding process, including developing the brand strategy for the organisation, please do get in touch with us at Frost Creative today. VAT registered 181 4543 11.